3. Get amazed with the instant result! 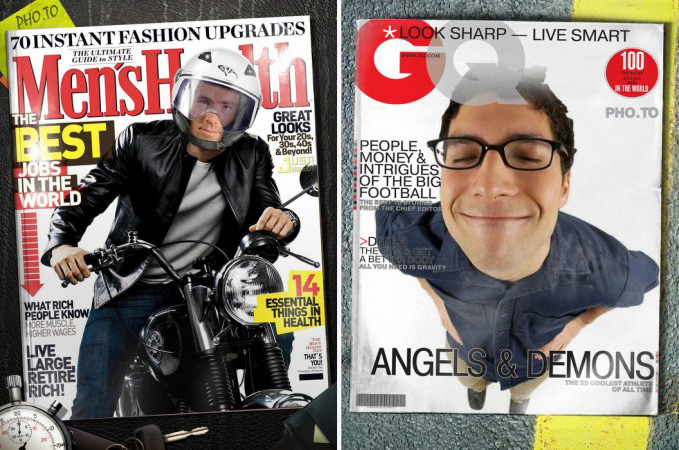 Of course, we’ve got magazine cover templates for guys, too! What about inserting your face photo into the Men’s Health cover or becoming a cover model of GQ magazine? Remember the famous People magazine cover with Angelina Jolie, Brad Pitt and their twin kids? Upload your family photo into the ‘People’ template and feel like a celeb family! You are into music and pop culture? 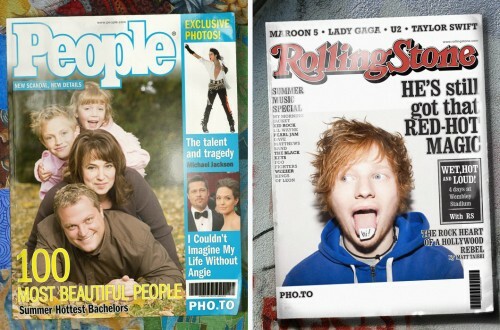 Then don’t hesitate to insert your photo into the Rolling Stone cover! So have fun and feel like a celebrity! Stay tuned, more magazine templates are coming! Please tell me how I can get my pic on a famous magazine? Please read this post once more aтв follow this link: http://funny.pho.to/#anchor-mag. 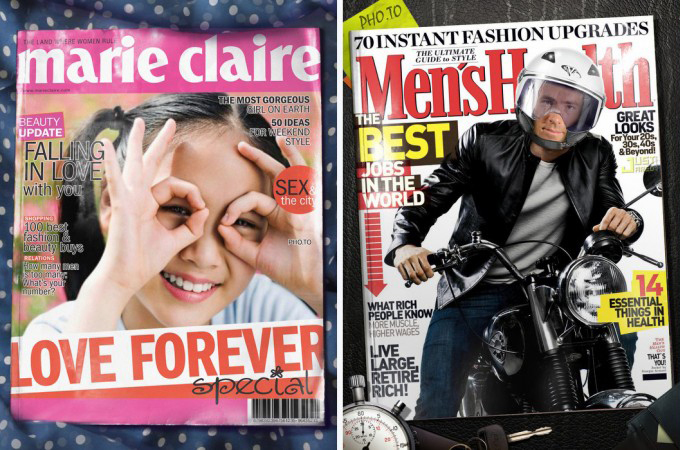 We are glad you liked our magazine cover templates. Where would you like to post your photo? Please make the cover of People magazine available again. My class is making Mother’s Day gifts and wants to use the cover for their mother’s pictures. we had this template, but the trademark owners didn’t allow us to use it. So we had to delete this effect. Sorry and hope our other effects will help you to create perfect surprises for the upcoming holiday. Next Next post: Pho.to Lab PRO at Amazon.com: 33% off!